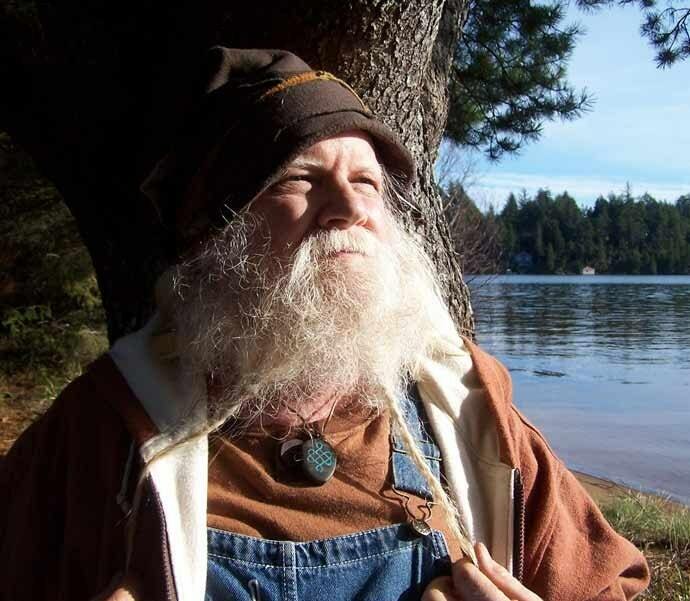 Jeff Wilson of Oregon-based Mystic Orb stopped by for a little chat recently. Tell me about how you originally got into your craft, Jeff. In the early 70's I went through a very "psychic" phase. I could feel and hear everyones thoughts, feelings and infirmities within a city block or so. Needless to say I had to quit my job and my wife and I moved into a VW bus as far into the woods away from folks as we could get... but we needed money. We started picking up shells and bone and I started making jewelry. Figured out I could etch pictures on the bone (before I ever heard about scrimshaw). My wife would sell it at Stanford University. As I learned to control my sensitivity we started doing shows and putting the work in galleries. This is how we make our living. It buys feed for our chickens and goats and pays the bills, and gives us trading material for much of our clothing, shoes and food. We live a simple life in the country, raise most of our own food and live on very little money...but more is always welcomed. Asking for money for the work.. So many ...too many to name. More creations.... ever expanding methods...JOY and Love. Visit Mystic Orb at mysticorbtalismans.com, Etsy and mysticorbtalismans.blogspot.com. They are also at Eugene Saturday Market every weekend in Eugene Oregon.